Drain decks will focus on using the "Drain" card effect and some direct damage cards to increase the Power of Drain monsters on the field. 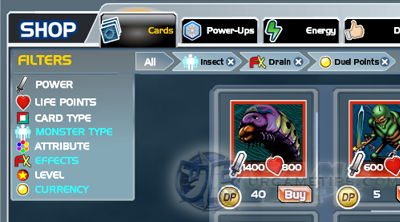 This Insect-Drain deck will aim to maximize all potential cards available in the game by using Duel Points and more. Refer below to learn more on how to build up your Insect-Drain deck. - Gains Power when opponent losses Life Points. 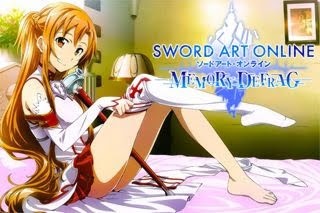 - Your aim is to deal damage to your opponent's Life Points to increase your monsters Power. Gift" or any card that will decrease your opponent's Life Points. Best when paired with Drain effects! - This will be your main Insect booster card. - Perfect monster card for this type of deck! Get 1 free by earning 475 Duel Stars. - Good if you have lots of Immune Spells like White Hole. - Special: Opponent loses 500 Life Points for every monster or spell played in this Channel. - Get 1 free by completing 325 Duel Stars. Life Absorbing Machine (14 DP) NEW! best shot will be Acid Crawler at first turn, all you need is 1 shot from this card then everything will start to Power-up!. Place your Acid Crawlers at the left most channel for better performance. - Fake Traps can also give you an early boost if you have it on the field. Spells though to give way to your other spells. from the first 2 channels. - Drain decks usually have low Life Points, so you must finish the duel as fast as possible. - Best used against decks with "Backfire" effects like Dragon decks! - Also good for defeating Dark decks that commonly have "Sorrow" effects. - A very dangerous deck for lesser DP Empathy decks!